In which conventional barriers of individualism, class, nation and gender are dissolved. To thrive strongly into our second 50 years we’ll need to remain one sangha united by a spirit of kalyana mitrata and Sangharakshita’s lineage of practices, teachings, inspiration and responsibilities. Very few people know the real meaning of friendship. More often than not, there is too much emphasis on sentiment, and too little on action. Metta is something that must be lived. 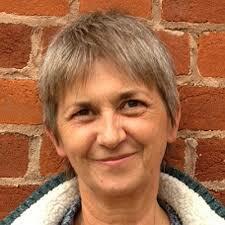 One of the responsibilities of the Bodhisattva is to create community. I think once you’ve made that connection you want the conditions that support your own practice. The main thing that does that, is relationship with other people. 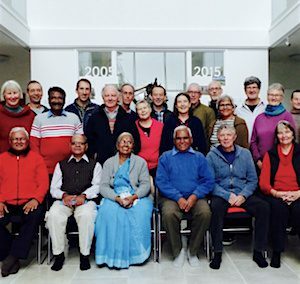 The 34 active members of the College of Public Preceptors from all over the world have collectively taken on from Sangharakshita the responsibility for the guidance of our movement, the development of our system of practice, and the training of Private Preceptors and those joining our Order. 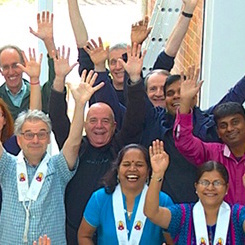 Giving their time and energy freely and wholeheartedly, they ensure that the Triratna Buddhist Order and Community will continue to thrive for generations as a united movement, for the benefit of anyone in this troubled world who wishes to awaken their mind through the Dharma.